Ever since the Englishman and I got a BBQ, we’ve been grilling fanatics. We’ve grilled chicken, ribs, pulled pork, fish, shrimp, you get the idea. 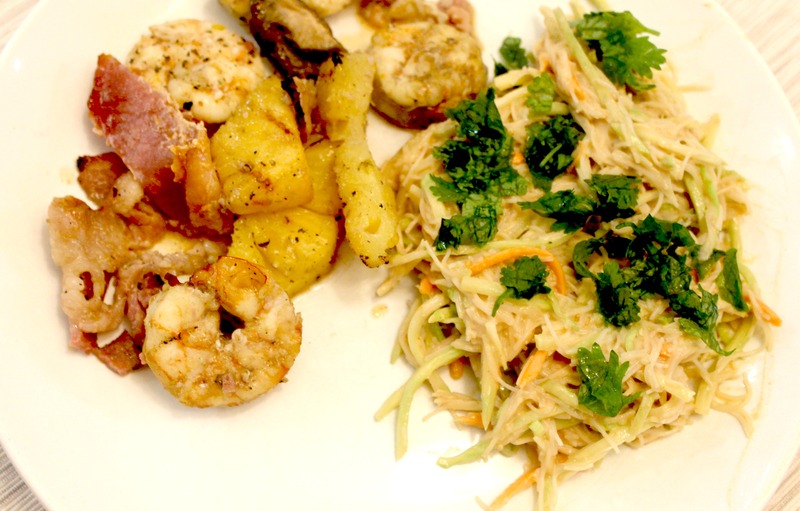 One particular evening we decided to grill some shrimp and pineapple, and what goes better with shrimp and pineapple than a delicious Asian noodle salad with peanut sauce? The folks at Marukan Vinegar were kind enough to send me a gift pack of their rice vinegar, and I knew this salad would be the perfect way to use my new goodies. Be sure to check out the end of this post for a special giveaway! Since I can’t have many Asian-inspired salads due to the soy content, I decided to use the regular and seasoned rice vinegar mixed with some PB2 , honey and water to create a delicious peanut sauce that was free of soy and other allergens. I decided to serve the Asian noodle salad with peanut sauce cold rather than hot which was perfect for a warm summer day. Paired with grilled shrimp, pineapple and bacon, it was the perfect summer meal! This salad was made with brown rice noodles, but I also made a zucchini noodles (zoodles) version which was just as good. Thanks Marukan for the recipe inspiration! Bring a saucepan of water to boil. 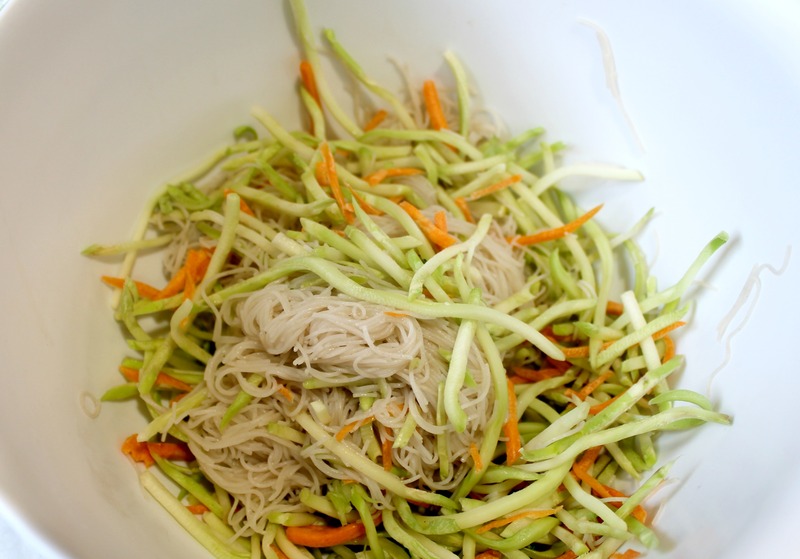 Cook your brown rice noodles for roughly 4 minutes and then drain and set aside. 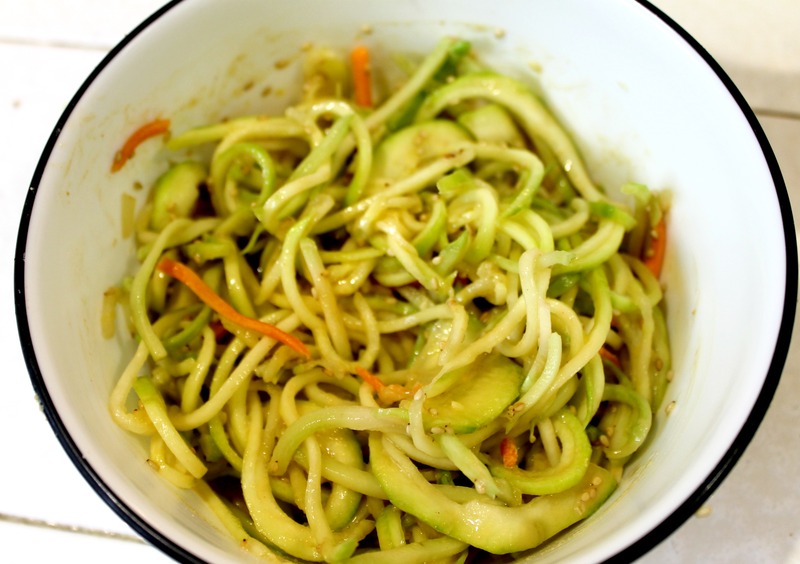 If you are making zucchini noodles, spiralize your raw zucchini and place in a small bowl with your broccoli slaw. In a mixing bowl add your honey, PB2, water, seasoned rice vinegar and regular rice vinegar and mix well. Be sure to whisk the sauce so there are no lumps from the PB2. Gently pour your sauce over your brown rice or zucchini noodles and continue to mix until everything is nice and coated. Add your sesame seeds and continue to mix. 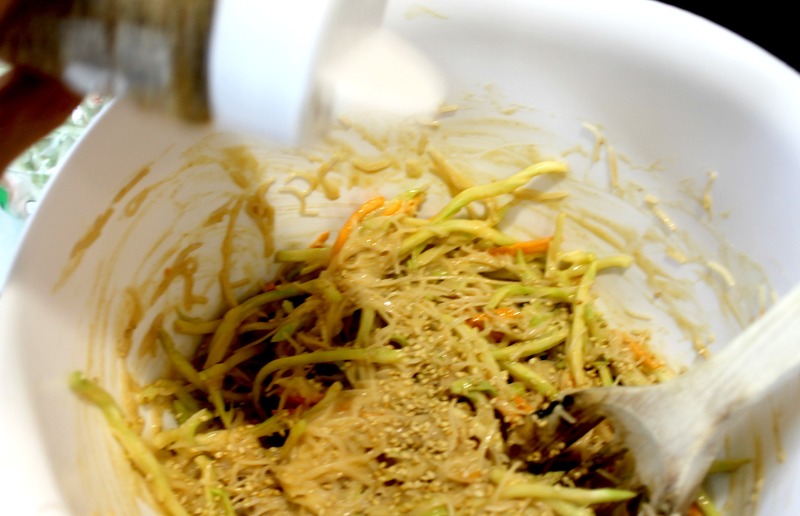 Place your noodles in the fridge for an hour to chill and marinate. Serve noodles on their own or as a delicious side and garnish with cilantro. I had them with grilled pineapple and shrimp and they were fantastic! Now for the fun stuff. 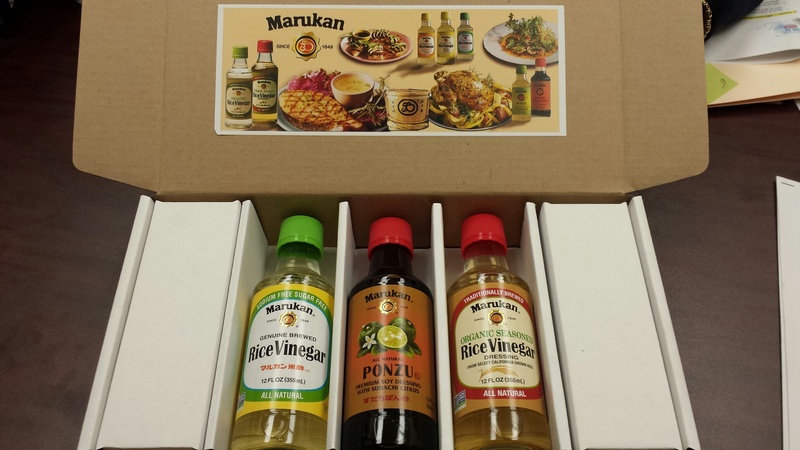 The lovely people at Marukan are offering one reader a chance to win a Marukan Gift Pack of Regular Rice Vinegar, Seasoned Rice Vinegar and Ponzu Sauce! All sauces are gluten-free, organic and low in calories but loaded with flavor. This giveaway is open to US and Canada residents and runs until Thursday, August 14 at 12:00 AM PT. Be sure to check it out! 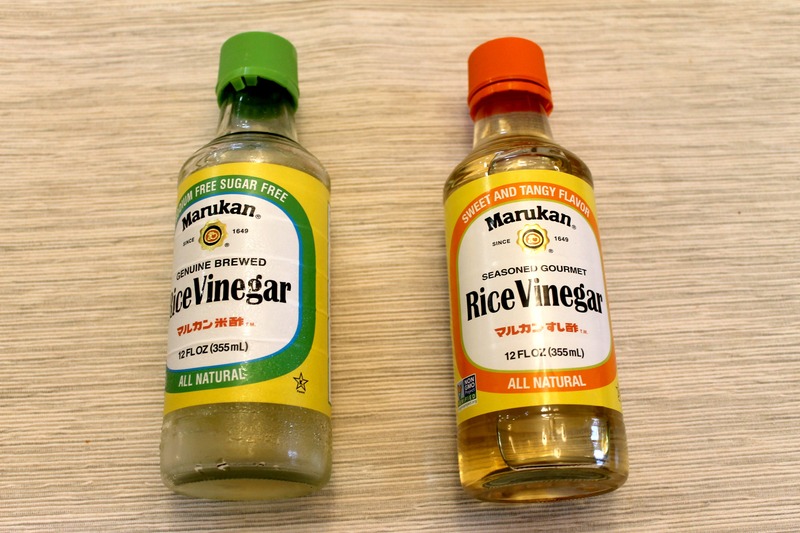 Thanks again to Marukan Vinegar for hosting an awesome giveaway! This entry was posted in Best Of, Giveaway, Gluten-Free, Good Eats, Healthy and tagged Asian Salad, Marukan Vinegar on August 7, 2014 by allie@sweetpotatobites. I just made a peanut sauce for lettuce wraps last week and I had to literally stop myself from drinking it. It’s SO good! I love the idea of the pb and the fresh acid of the vinegar! I’ll have to try it out! Fruit favorite snack. Twitter name is icywit not icywit@gmail.com entry was messed up a bit. Yummm! I love peanut noodles! 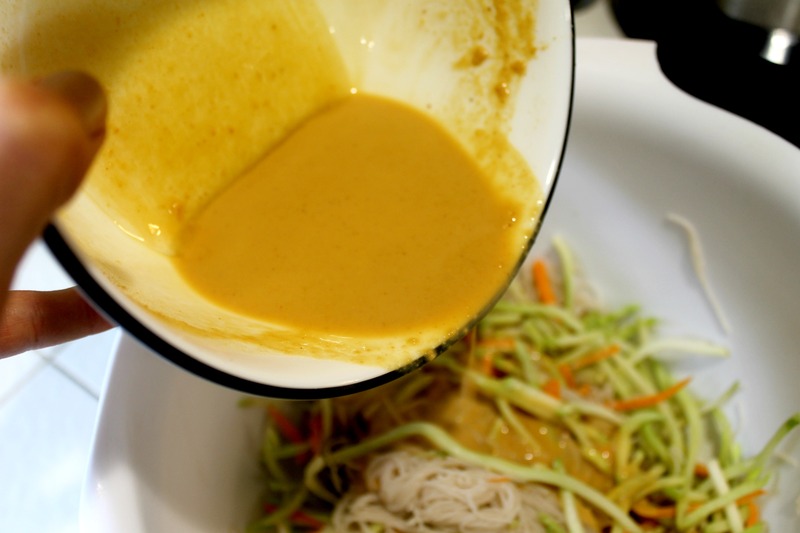 Rice vinegar is definitely a must in every peanut sauce I make. I especially love putting it on zucchini noodles. Sooo good!